A valued partner in Barnes & Noble College’s social media outreach has been the Shortys, the awards program that recognizes what’s new, creative and fun in the growing landscape of social platforms including Twitter, Facebook, Tumblr, YouTube, Instagram and Vine. Now, in its seventh year, the Shorty Awards have only just started to find their stride, with categories spanning from Best Activist to Best Emoji, and nominated personalities running the gamut from Beyoncé to Larry King. The Shorty’s also hold a particular significance for Barnes & Noble College, who in recent years has sponsored their own category celebrating social media excellence, as the company’s Social Media Specialist, Sandra Webb explains. 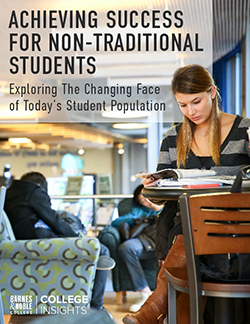 “In previous years, we’ve highlighted the contributions of our colleges and universities in their use of social platforms, but this year we really wanted our category to celebrate the efforts of the individual student.” And with good reason, as there can be few users of social media quite so prolific or creative as college students. 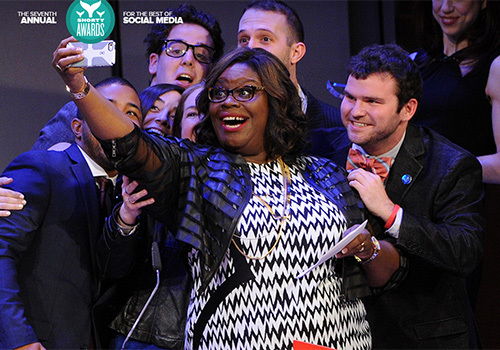 Comedian and actress Retta takes a selfie with Boston University Assistant Dean Micha Sabovik and members of the BU COM social media team, winners of the Most Social Campus category at last year’s Shorty Awards. 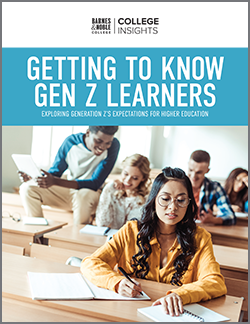 Frantz points out that social media channels the exploration of identity students develop at college which, together with their school experiences, can inform their transition to adulthood. 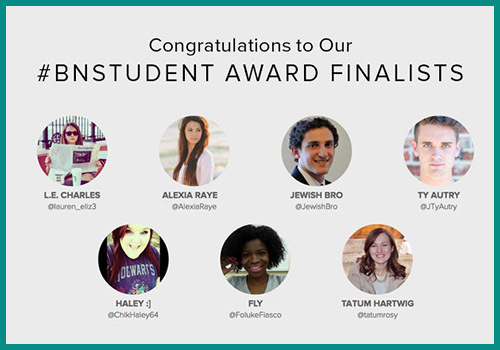 The diversity of this year’s nine student finalists bears testimony to that in spades. Alexia Raye (@AlexiaRaye) is an aspiring biochemist, whose 124,000 followers have supported everything from her quirky ‘Ask Alexia’ Q@A videos, to her more reflective short video features like ‘Living in the Now.’ Lauren ‘L.E.’ Charles, (@lauren_eliz3), a freshman Film & TV major at Boston University’s College of Communication, is an aspiring comedienne who aims to make her tweets and Instagram blog lighthearted and witty. “For every three silly tweets, have one intelligent tweet,” she advises. In anticipation of this year’s awards ceremony, Frantz says creativity will be the key to the judges’ hearts. “We want the small-time blogger to be as eligible as the YouTube user, by offering something creative — or communicating in a way that hasn’t been seen before,” she says. Which is really what the Shortys are all about. And in the fast moving, technologically innovative environment of social media, it’s increasingly the human connection that counts. 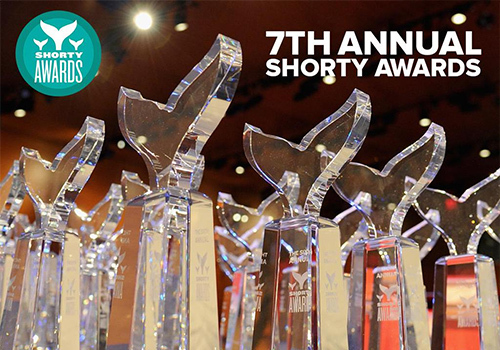 The Seventh Annual Shorty Awards will take place at The TimesCenter in New York City on April 20.